So during puasa its kind of hard to get Japanese food for buka puasa as Hairil is not really a fan of Japanese food..
What he can eat is just fried food like Tempura.. 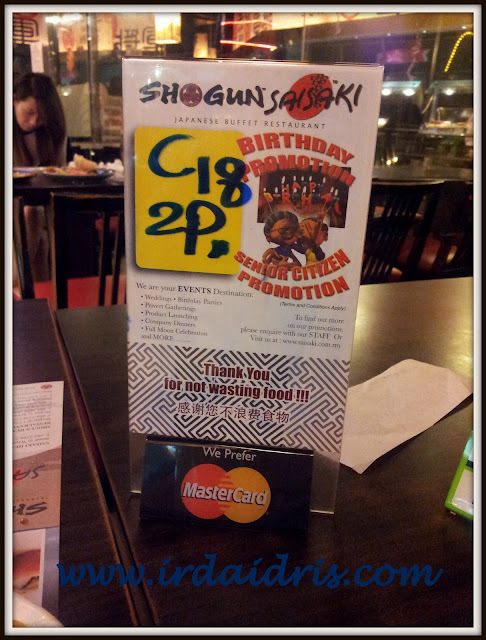 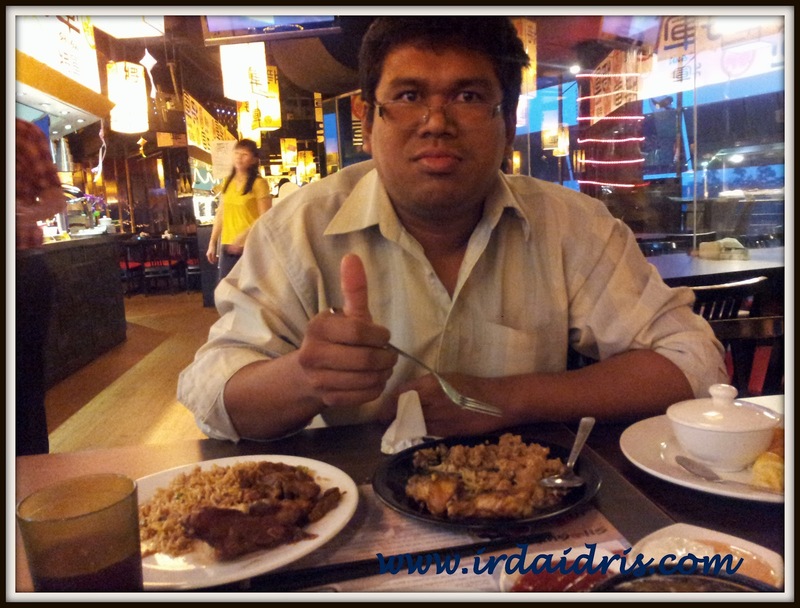 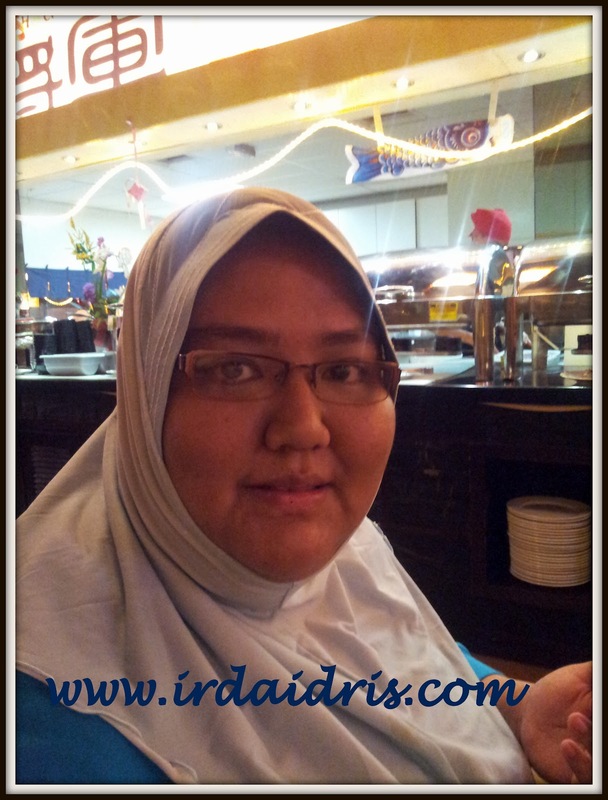 So, for our last date during Ramadhan 2012, i suggested that we go to Shogun in Solaris Mont Kiara because their buffet does not only consist of Japanese food only, but they also have western and also Malaysian street food like kuey teow goreng, nasi goreng and others. 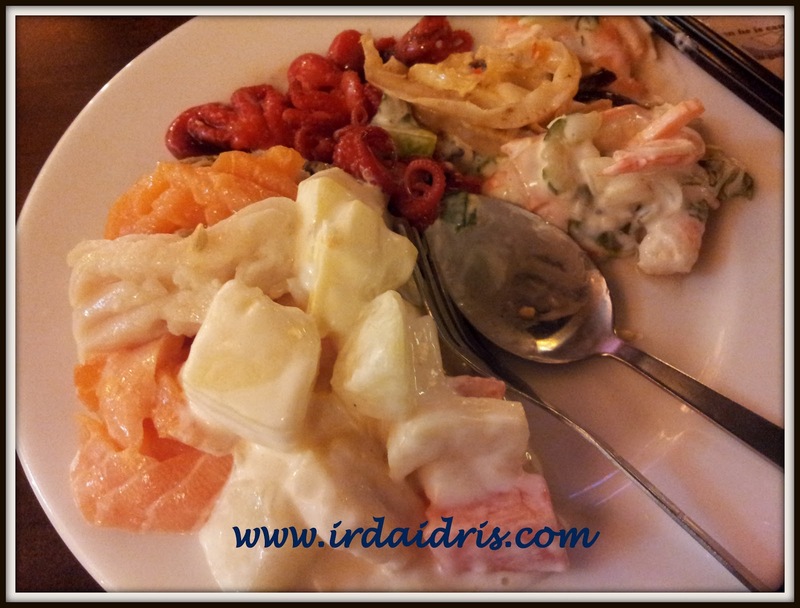 My starter - Seafood salad, fruit salad, chuka idako and salmon sashimi.. Yumsss! 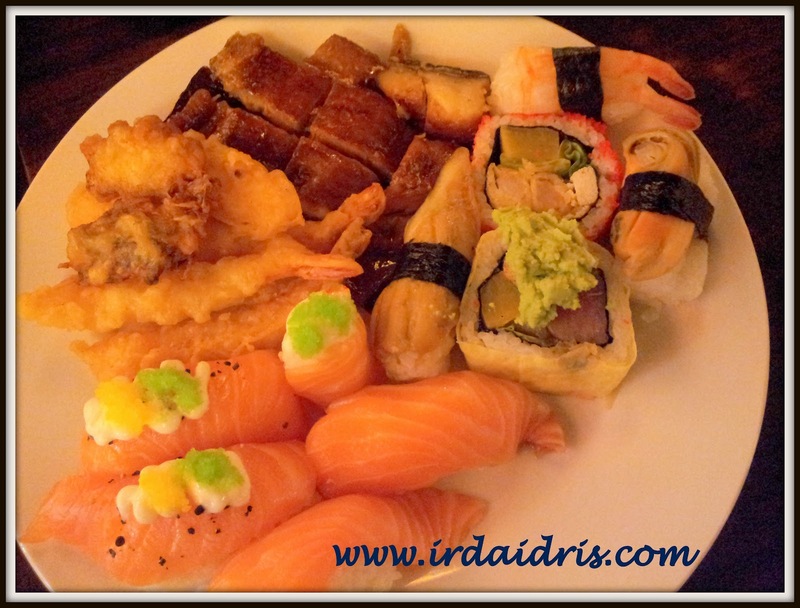 Sushi, unagi, tempura and more sushi! 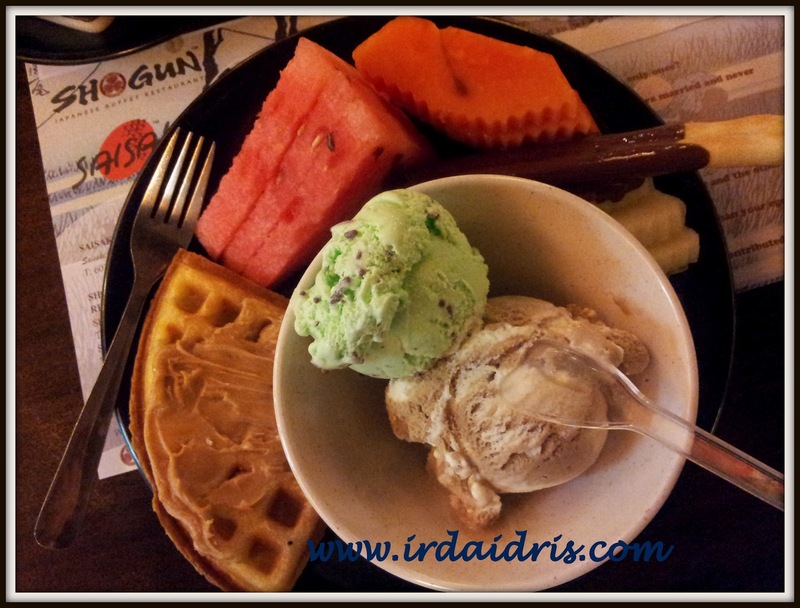 Desserts - Fruits (Watermelon, Papaya & Honeydew), biscuits dipped in chocolate, waffle with peanut butter and ice creams (mint & vanilla chocolate)!